North Carolina Abortion Ban Struck Down The law runs afoul of Supreme Court precedent banning abortion restrictions based on how many weeks pregnant the mother is, the judge wrote. Anti-abortion activists protest outside of the U.S. Supreme Court. The Supreme Court has rejected laws that tie abortion rights to a specific week in a woman's pregnancy, but this is the first time a judge has struck down the 1973 law. The Supreme Court has rejected laws that tie abortion rights to a specific week in a woman's pregnancy, but this is the first time a judge has struck down the 1973 law. "The Supreme Court has clearly advised that a state legislature may never fix viability at a specific week but must instead leave this determination to doctors," Osteen wrote. 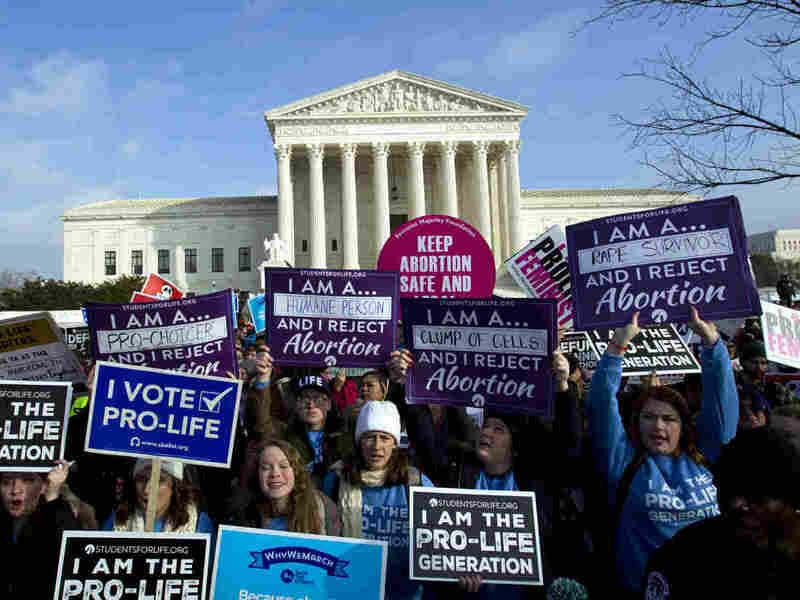 The ruling simply reaffirms the current law banning abortion restrictions tied to certain weeks, ACLU attorney Andrew Beck, one of the lawyers challenging the dated law, told The Washington Post. But it also gives abortion rights groups hope that courts will restrain some of the Republican-led state laws that have imposed new restrictions on abortion in recent months and years. "Given that there is so much anticipation that the [Supreme Court] will undermine or overturn Roe v. Wade, it is reassuring to see the North Carolina 20-week abortion ban struck down," Elizabeth Nash, a state issues manager at the Guttmacher Institute, told The Post. The ruling will go into effect in 60 days, giving the state time to appeal or propose different legislation. A spokeswoman for the state attorney general's office said it was reviewing the decision. Although North Carolina's 20-week ban had been on the books for more than four decades, it had never been enforced, the judge said. But when the legislature decided in 2015 to tighten the law, that implied that it was more likely the legislature intended to enforce the ban, the judge wrote. The state told the court it had no plans to actually enforce the law. But in light of the 2015 amendment and the state's "vigorous defense of the ban on constitutional grounds," the state's disavowals "provide little assurance," the judge said. And the very fact that the law is on the books acts as a chilling effect, he said. It's likely that the state hopes "to ensure the ban remains on the statute books to deter doctors from providing any post-twenty week abortions," the judge wrote. According to Reuters, the ruling "appeared to thwart a bill brought by Republican lawmakers in North Carolina earlier this year that would have banned abortions after 13 weeks."